We are a World of Warcraft Raiding guild on the Horde side of the server Turalyon in the US. We raid 6 hours per week, Tuesdays and Thursdays from 9pm-12am EST. 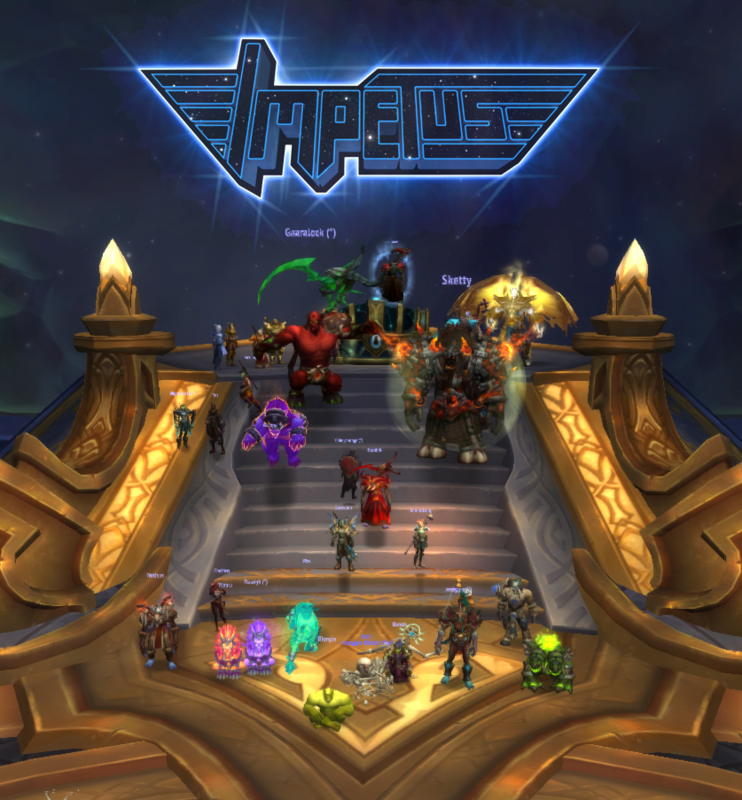 <Impetus> is aiming to strengthen our roster with top tier talent for Battle for Azeroth. Our vision and objective in BfA is to reach the point where we're pushing towards being a US top 100-150 guild, solidly positioned as the top 6 hour guild in the US, with Cutting Edge never close to being in doubt. We enjoy pushing ourselves, playing well, and playing with other talented/driven players. If we had the time to raid more than 2 nights/6 hours we'd be in a guild pushing server 1st or US top 10-20. We can't, and presumably neither can you, so the goal is to be as excellent as we can with the time available.